This being the third to last Poirot book, you could tell that Christie had begun to wind him down. He often complains about being sore after exerting only a minuscule amount of activity and often laments his age. I tried doing a little light research into Hercule’s age and given that many believe he is 62 in the first novel, that would make him 115 in this book – so that can’t be right. Although, in her autobiography, Christie has said that one of her biggest regrets was starting with Poirot at such an advanced age, I suppose it’s not that important given that he’s a fictional character and that Christie can do what she wishes. There’s another school of thought used in the Official Agatha Christie Companion applying an age formula that supposes that Poirot ages 2 years for every 3. This would make him a spry 93 at the conclusion of the final novel in 1975. Sorry about that tangent. I thought I would remove if from the review, but who cares. This is my review after all! 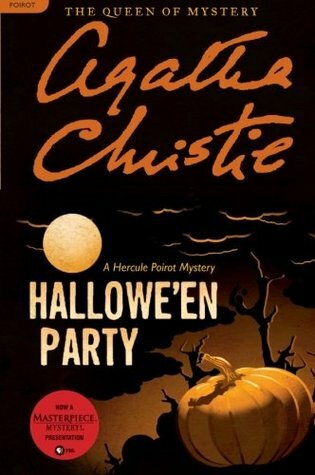 When it comes to my Poirot reading experience, I enjoyed Hallowe’en Party more than Murder on the Orient Express, but not as much as The Murder of Roger Ackroyd. It will probably take me a long time to get through all forty of the Poirot novels, so I’ve got many happy reading years ahead of me.